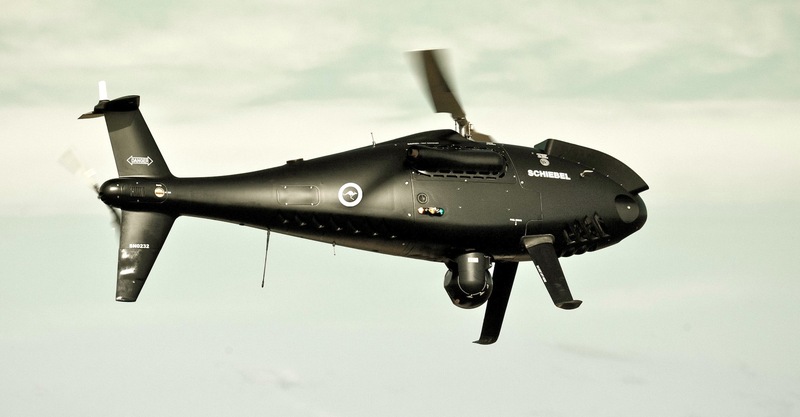 The Royal Australian Navy (RAN) has awarded Austria’s Schiebel Group a contract to provide its Camcopter S-100 unmanned helicopter and three years of logistics support. The company announced the contract on February 6, but it was signed back in December. It did not disclose the contract value or the number of systems ordered, each of which consists of two aircraft. With an empty weight of 110 kg (243 pounds) and powered by heavy-fuel or gasoline engines, the S-100 carries a payload of 75 pounds for more than six hours; fitted with an optional external fuel tank it operates for more than 10 hours. Schiebel advertises a beyond line-of-sight operating range of 200 km (124 miles). The RAN issued a request for tenders last February for an unmanned rotary-wing aircraft to perform maritime and littoral intelligence, surveillance and reconnaissance (ISR) missions. The UMS Skeldar V-200 and the considerably larger Northrop Grumman MQ-8C Fire Scout were considered contenders for the requirement. The service evaluated the S-100 in 2015 for ISR and “forward observer” roles, according to its Navy News newspaper. It experimented with multiple payloads, including a Selex synthetic aperture radar and electronic support measures, as well as the standard Wescam MX-10 turret with electro-optical and infrared cameras. “The aircraft operates outside the range of the organic sensors of the platform it is operating from and supplements the maritime operating picture for the principal warfare officer. This in turn frees up the manned aircraft,” the newspaper reported.